If you possess the triangle “Enough Land – Enough Time – Enough Energy”, you can feel the joy of raising your horses at your property. The emotional bonds developed after some time between humans and horses are unparalleled. Horse is a highly intelligent and emotional animal that will change your life. Interacting with horses is one of the most stress relieving activities. However, you have to be fully prepared and consider the financial issue along with the commitment needed, if you decide to raise horses at your property. 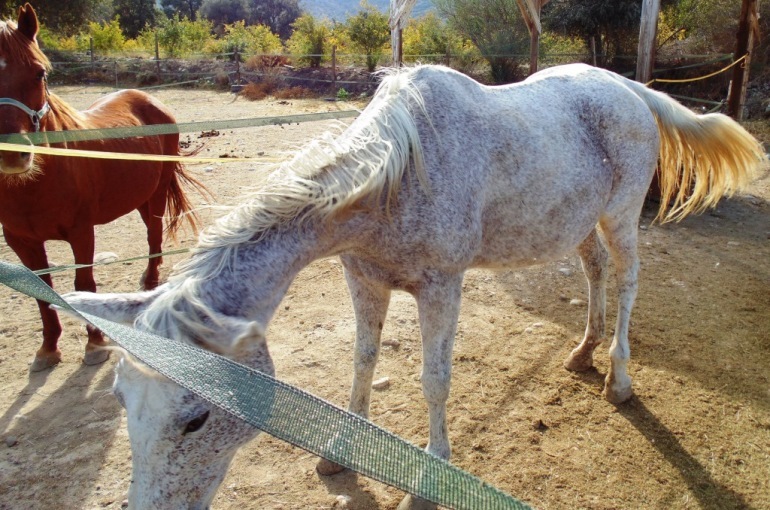 Horses or any other livestock cannot be left unattended for over a day. Raising horses means caring, watching, cleaning, feeding and troubleshooting 365 days a year. Thus, if you consider leaving let’s say for a weekend, you must find an experienced and reliable farm sitter to take care of your horses. Furthermore, if you possess horses of special needs and/or if your field cannot produce enough pasture most of the year, you will have to spend 400-500 $ per month for feeding each horse. To this, you have to add of course the cost of purchasing the horses (there are various adoption programs though), veterinary costs (normal and emergency), various horse equipment along with the costs associated with building and maintaining a decent and legitimate horse property. The average lifespan of a domesticated horse is 30 years. The average horse reaches its reproductive period at the age of 5. Before that age, the horse shall not be ridden, because its skeleton and bones are not fully developed. Racehorses are usually ridden at 1-1,5 years old, and that’s why they are usually retired by the age of 6. Some of them are permanently lamed and many others have to be euthanized (put to sleep) by the age of 3. Since you expect a long term relationship with your horses, you have to respect them and let them live their lives with dignity.